Please join me for Shades of Fall, a watercolor workshop with the Port Townsend School of the Arts, the weekend of October 13th-14th. 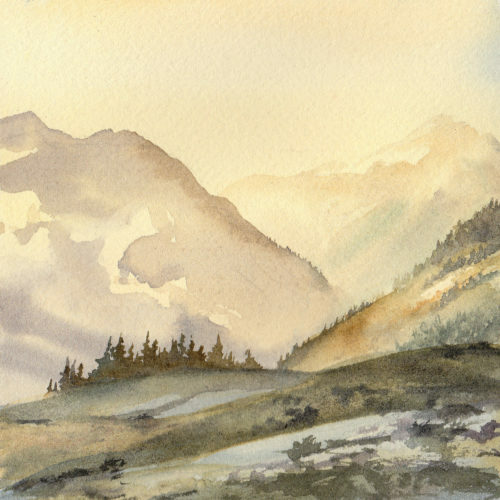 We will focus on autumn colors and landscapes while exploring design, color mixing, and expressive painting techniques. The weekend will include one day in the studio and another day plein air painting around Fort Worden State Park. All levels welcome! Please register through the Port Townsend School of the Arts and let me know if you have any questions. Hi. I’m interested in your class. I live in Los Angeles. How would I get to Port Townsend? Is there a direct way to get there? Hi Carmen, Port Townsend is about 40 miles outside of Seattle, I’ll send you a email with more details. Thank you for your interest in my workshop!